DURHAM, N.C. — Cats and dogs aren’t the only cute animals that rule the internet. We also coo over a video of someone snuggling a tiger cub, feeding a sloth or tickling a loris. Now, a new study of Twitter activity shows that viral videos of seemingly cuddly exotic animals can have a dark side too — by fueling demand for them as pets. The study focused on a 2016 viral video of a ring-tailed lemur demanding back scratches from two boys in a village in Madagascar. Each time the kids take a break, the lemur turns toward them and points to a spot on its back as if begging for more. Reactions ranged from “so sweet” and “awwww-cute” to “freaking adorable.” The video quickly made the rounds on the internet, and within a week the original Facebook post had 20 million views. Researchers downloaded and analyzed nearly 14,000 tweets mentioning pet or captive lemurs over an 18-week period before and after this video appeared online. As the video was liked and shared, the volume of tweets saying things like “I want a pet lemur” and “where can I find one?” more than doubled. 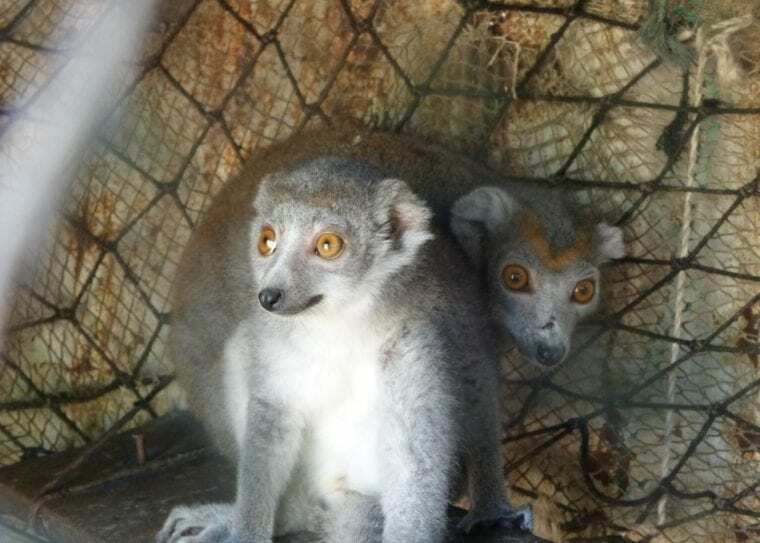 Google and YouTube searches for the phrase “pet lemur” also spiked in the weeks after the video went viral, compared with other times between 2013 and 2018. None of the tweets revealed anyone actually buying or selling lemurs on Twitter. But the researchers worry such incidents could encourage would-be wildlife traffickers, particularly in Madagascar, the only place where the endangered primates live in the wild. Pet lemurs are technically illegal in Madagascar. But the laws are difficult to enforce, especially in remote villages where law enforcement personnel may be few. Previous research suggests that more than 28,000 lemurs have been illegally removed from the forest since 2010. Many of them are kept as pets in Madagascar’s hotels and restaurants, for well-intended tourists to cuddle or take selfies with. Pet lemurs in Madagascar are often kept alone in cages or on a leash, and fed human foods such rice that they don’t eat in the wild. More than 30 of the roughly 100 known lemur species are affected by the pet lemur trade, but the ring-tailed lemur — recognizable by its long black-and-white striped tail — was the species most people tweeted that they wanted as a pet. Twenty years ago, the ring-tailed lemur population was estimated at more than 750,000, based on satellite images. No one knows how many ring-tailed lemurs live in the wild today, but some recent estimates suggest there may be fewer than 5,000 left. This isn’t the first study to suggest that exotic animal selfies can harm wildlife. Previous research shows that photos of other animals such as chimpanzees or squirrel monkeys in contact with people can skew public perception of how endangered they are, and mislead people into thinking they make good pets. Selfies with pet lemurs are proving to be popular as internet connectivity improves in Madagascar, the researchers say. “For many people in Madagascar, taking selfies with lemurs can signal social status,” said conservation biologist Kim Reuter, a co-author on the study. “What we’re trying to get across is: Think twice before you click like, before you share,” Clarke said. The findings appear this month in the open-access journal PLOS ONE.